Autonomous vehicles are said to be the future of the automotive industry. Waymo and Cruise are valued at more than $200 billion and $15 billion respectively. There is no evidence that autonomous cars are safer than human-driven cars. The automobile industry generated more than $4.4 trillion in revenues in 2018. A total of almost 80 million vehicles were sold around the world. While the industry is seeing some growth, auto manufacturers are feeling the heat of disruption. Electric vehicles such as those manufactured by Tesla (TSLA) have gone mainstream. Similarly, ride sharing services, scooters, and bike sharing have become popular in urban areas around the world. As a result, traditional companies are working hard to develop cars that will compete with the new-age cars like Tesla, Rivian, and Nio. One area that has received billions of dollars in investments is on autonomous driving. Companies like Tesla, General Motors (GM), Alphabet (GOOG), Ford (F), Apple (AAPL), Toyota, and BMW, and Daimler have announced investments in the new industry. All major automobile groups around the world have announced their investments in the sector. In February alone, investments worth more than $1.6 billion were made in the industry. As a result, investors have baked-in the valuation of the autonomous systems in the companies’ valuations. Analysts at Jefferies (JEF) have valued Waymo at more than $250 billion while a recent investment in GM’s Cruise values the company at more than $14 billion. Similarly, suppliers of autonomous systems such as NVIDIA (NVDA) and AMD (AMD) have received a premium valuation compared to their peers. This is despite the fact that the two have not generated any money and will not do so in a long time. Therefore, this article explains why investors should carefully re-evaluate the valuations they have put in place for the autonomous car companies. Will Autonomous Cars Be Safer? Proponents of the autonomous vehicle industry argue that the cars will be safer than the human-driven vehicles. They argue that since most of the world’s vehicle accidents are because of human error, the number of accidents will be fewer when cars will be driven by software. They estimate that more than 30K lives will be saved every year. However, the fact is that autonomous vehicles have yet to be put into test, which makes it impossible to assess how safe they will be. In fact, I believe that fully autonomous cars could be more dangerous than traditional vehicles. This is because an accident could happen easily if a sensor is tampered with. Therefore, if a sensor of a modern Boeing (BA) can fail, what about that of a vehicle that is more exposed to elements like children, pets, rodents, and birds? Will Autonomous Taxis Be More Efficient? The idea of autonomous vehicles has been promoted in the ride hailing services. Companies like Uber are developing autonomous systems while Lyft (LYFT) has partnered with General Motors. Tesla has also announced that it could roll out robo-taxis in future while Waymo is already testing these taxes in the US. From a distance, this idea seems great for companies like Uber. By getting rid of the driver, the companies will not need to pay anyone, which will increase their margins. However, when you look at it closely, this idea introduces new gaps that will need to be filled. The companies will need to buy the vehicles. Last year, Waymo announced that it was buying 62000 Chrysler Pacifica vans. This is in addition to the 500 that it owned before. If it bought the base model, then the company spent more than $2.5 billion. This was in addition to the 20,000 cars it ordered from Jaguar Land Rover. These cars will need to be fitted with the autonomous system, which costs money. To ensure that the cars are in perfect condition, they will need to have more regular maintenance than the normal cars. Further, since Waymo CEO has ruled out on a fully level 5 autonomous car, they will need to have a person in the driving seat. Rolling out the cars internationally will be expensive and time consuming also. There are also other costs related with parking spaces and regulations. Therefore, when you add all the costs involved in this industry, you realize that the current model where ride hailing cars are owned by the drivers is probably better. Couple this with the fact that only a small percentage of people are ready to use full autonomous vehicles. A recent research by Gallup found that 21% of the respondents were willing to use such a service. 61% of the respondents are not willing to use the services. Proponents for the autonomous trucks argue that it will help solve the problem faced by truckers. In the US alone, there is a shortage of more than 50,000 truckers and the number is expected to rise as the current truckers retire. In recent years, to deal with the shortage, companies have been forced to pay more for the truckers. Truck drivers for Walmart (WMT) earn $87K, which is above the median salary of all workers in the US. This has affected their margins. 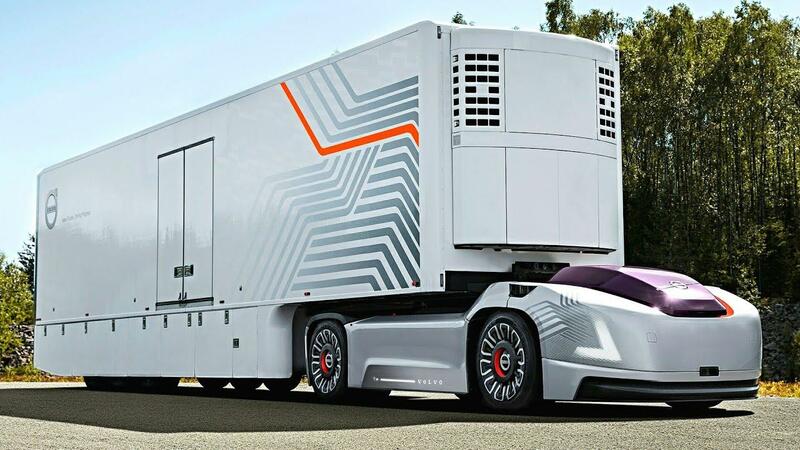 Already, a number of companies like Embark and Volvo have started rolling out autonomous trucks. However, I believe that while companies will embrace autonomous semis, the human driver will not be eliminated in the near future. This is because companies will not entrust a software to carry valuable goods for hundreds of miles. Also, there are challenges in case of a mechanical problem and the need for regular maintenance for the semis. What is the Future Use of Autonomous Vehicles? First, Tesla has already proven that autonomous vehicles can work with its autopilot products. So far, its most advanced autopilot can drive itself from a highway on-ramp to off-ramp, can park itself, and can come for you in a parking lot. Therefore, I believe that the future of autonomous vehicles is one where the systems will just complement the drivers. Second, I believe autonomous vehicles will be useful in short-distance delivery services. Already, Kroger is using an autonomous service from Nuro to deliver groceries in Arizona. Amazon (AMZN) is also using an autonomous robot to deliver products in Washington while Walmart (WMT) has partnered with Ford to test autonomous delivery in Miami. These short-distance deliveries make sense because humans are not inside the vehicles. Third, I believe that fully autonomous vehicles will be used in confined areas like in airports, ports, and in the agricultural sector. This is because it is relatively easy to program and monitor these vehicles in such small environments. As mentioned above, Waymo and Cruise have been valued at more than $250 billion and $15 billion respectively. I believe that this valuation is a stretch because investors have been sold a future that is far from reality. As explained, there is no evidence that autonomous cars will be safer than human-driven cars. There is also no evidence that people will embrace fully-autonomous taxis. If they do, there is no evidence that their margins will be better than those driven by people. In the trucking industry, there is no evidence that companies will entrust the autonomous trucks to drive valuable goods for thousands of miles without a person being onboard. The only evidence we have is that autonomous vehicles will be in most vehicles in future as manufacturers move to compete with the likes of Tesla. This means that their autonomous products will be like additional features. Another evidence is that the autonomous vehicles could indeed disrupt the short-distance delivery because it is already working in some areas. Finally, we have evidence that the industry is already crowded, with most vehicle manufacturers creating divisions to deal with autonomous vehicles. There are also other smaller companies like Nuro that are aiming for the industry. While I believe that autonomous companies like Waymo, Cruise, and Baidu’s (BIDU) Apollo are overvalued, I do not recommend shorting their parent companies. This is because there is a likelihood that the parent companies will spin-off these platforms. For months, there has been speculation that GM will spin-off Cruise while Alphabet has already made Waymo a standalone company that could be taken public in future. Disclosure: I am/we are long TSLA, GM, AAPL, GOOG. I wrote this article myself, and it expresses my own opinions. I am not receiving compensation for it (other than from Seeking Alpha). I have no business relationship with any company whose stock is mentioned in this article.